Following the news earlier this week that Microsoft has sold over 2.5 million Kinects since launch, Sony has issued a statement claiming to have already sold 4.1 million PS3 Move controllers. The two console giants are now gearing up for the final few weeks in the run up to Christmas, the busiest time of the year in the games industry. Sony launched Move in Europe, the US and Asia back in September (and on 21 October in Japan), giving the PlayStation manufacturer something of a head start on Microsoft, with Kinect only having been on shelves since early November. Microsoft still hopes to hit its target of 5 million Kinects sold by the end of this year's Christmas holiday season. Sony is selling Move's two handsets – the Motion and Navigation controllers – either separately or you can get the main controller as part of a PS3 Starter Pack bundled with the PlayStation Eye camera. 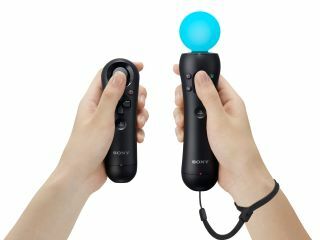 Sony added that the announcement of 4.1 million units is "cumulative" and "does not include sales of stand-alone PlayStation Eye camera or stand-alone PlayStation Move navigation controller" units.